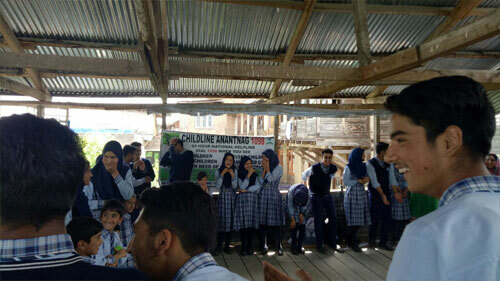 On 16th and 17th April 2018 Childline Anantnag along with CFS staff visited various schools of Anantnag and Bijbehara Zone. Purpose of visit: Creating awareness about child sexual abuse. Govt. 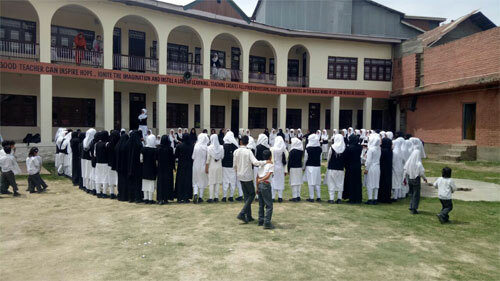 Girls High School Khanbal. Activities Done: Play for Peace, Screening of Komal and awareness session on Child rights, Child Protection and Child Sexual Abuse. The students of above mentioned schools were given awareness about Child Sexual Abuse (CSA), Child Rights and Child Protection. This programme was designed so as to improve and understanding the public awareness particularly among children and teachers. Children were given the basic information about the child rights and child protection. Various ways were discussed with which they can keep themselves protected and safeguarded. They were taught how to fight back the perpetrator and how to face the dangers. 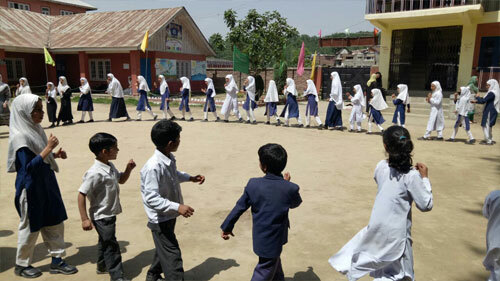 Children were taught about various threats and abuses/ types of abuses. Moreover, they were taught mostly the abusers tend to be the relatives ,siblings, beginning with gaining the child’s friendship and trust, they then begins testing the child’s ability to protect himself by telling sexual jokes ,engaging in horseplay’s , back rubs , kissing or sexual games. Children were indulged in various activities like making of safe circles, comfort zones, world cafes, play for peace activities etc. 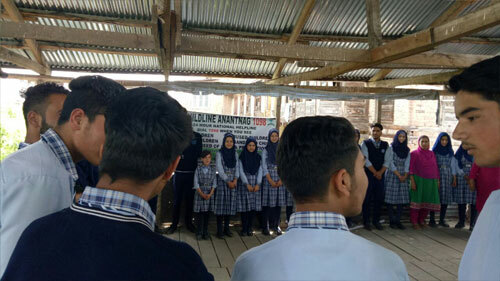 In every school a group of around 10-15 schools were formed who will be given more awareness about child sexual abuse and they will then aware all students of their respective schools about child sexual abuse in future. Also documentaries were displayed in various schools depicting the information about the child Sexual Abuse particularly highlighting the concept of good touch, bad touch, body part secrets etc. This step was very interactive as the children after watching the documentary of around seven to ten minutes talked regarding what was being displayed and what was the main motive behind displaying the documentaries. Moreover, the question hour was kept after every discussion which showed a very positive response as the children were coming up with the bunch of queries and doubts which were then cleared by the said staff. Also teachers who attended the programme were quite happy and they were seen very much interested to be as part of such initiative.